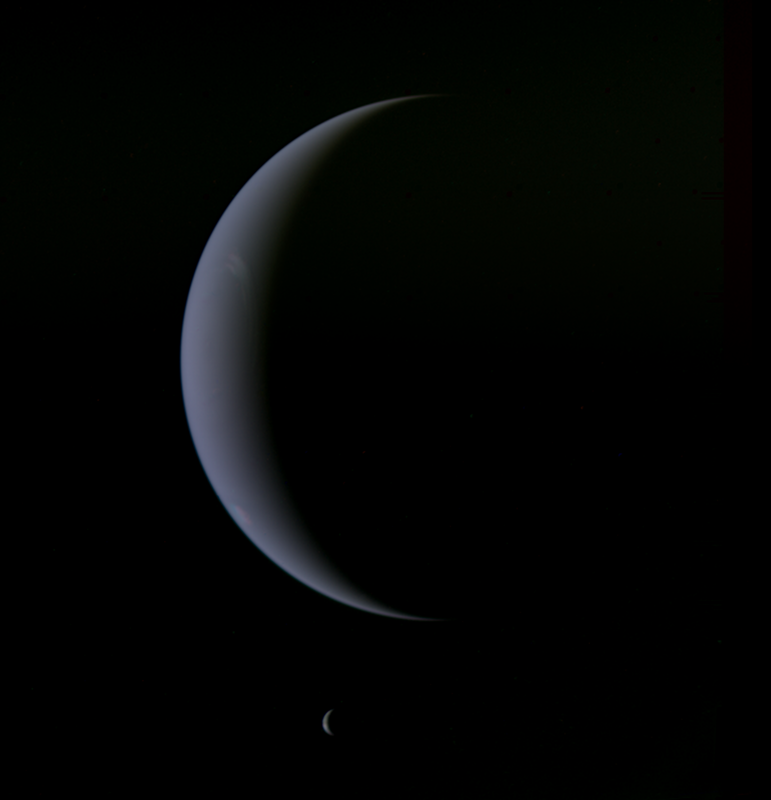 Images credit & copyright: NASA/JPL Voyager 2. If you love the night sky and the planets in particular then this has been a fantastic year. Jupiter reached opposition (closest point to Earth) back on May 8. Saturn reached opposition on June 27, Mars reached opposition on July 27, Neptune reaches opposition on September 7 and Uranus reaches opposition on October 23. Even main belt asteroid Vesta was at opposition back on June 19th so all I’m asking the universe for now is a bright comet to end the year on and I’ll go into hibernation happy! 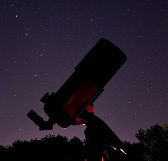 Actually I can’t do that either; the best skies are winter skies and I’m not missing the Orion neighborhood. Disclaimer! As much as I want you all to read my entire post and check out the pics and links I want to make something clear from the start. 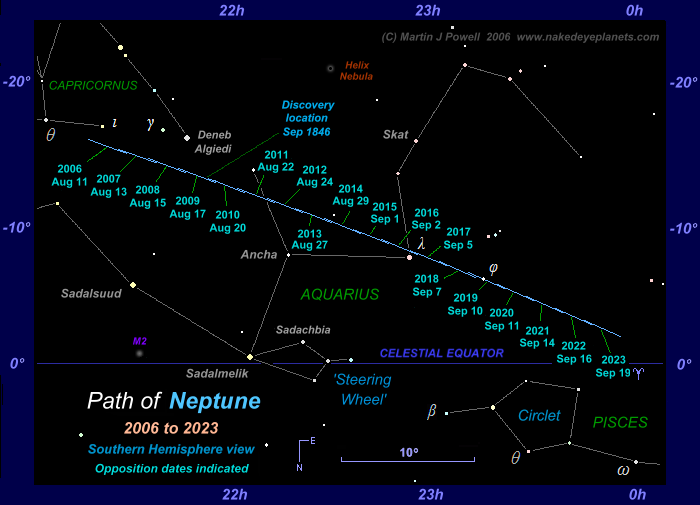 Neptune is so far away (all that info below) that even at opposition it will not be naked eye visible. You will need some sort of optical aid to get “eyes on” our furthest ice giant. 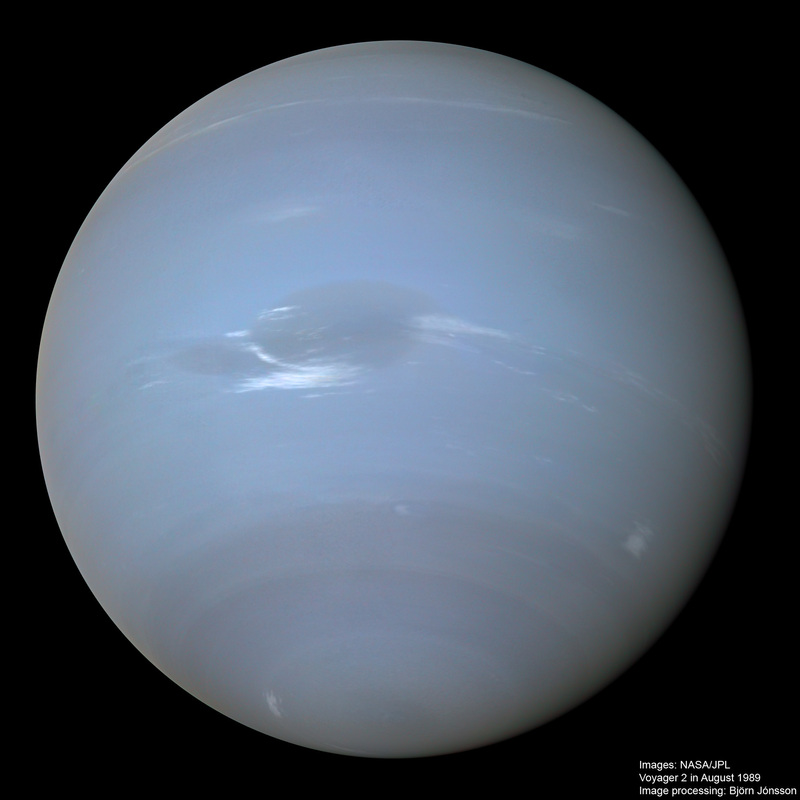 Neptune reaches opposition about every 367.5 days (just over 1 year) and this opposition will bring Neptune to within 28.93 AU (2.695 billion mi. or 4.338 billion km) from Earth (remember, an astronomical unit or “AU” is one Earth-Sun distance or about 93 million mi. or 149 million km). Yea you read that right; when Neptune is at it’s closest point to Earth, it’s still 11 times further away than Mars when Mars is as far from Earth that it can get (which is on the other side of the solar system about 2.9 AU away). Fun Fact: We all know orbits are elliptical and not quite circular, well from 1979 to 1999 (20 years) Neptune was further from the Sun than Pluto. That’s right; every 248 years Pluto crosses Neptune’s orbit for a 20 year period. Why oppositions have different distances from opposition to opposition? The reason is the same as the above paragraph; the orbits of the planets aren’t actually circular, they’re slightly elliptical. For example, Mars reaches opposition around the same time it reaches perihelion (closest point to the Sun) every 15 to 17 years so when that happens opposition is closer. Conversely, if Mars reaches opposition at its furthest point from the Sun it will be a more distant opposition than if it were at its closest point. Also, when applicable, during the immediate hours of opposition look for a phenomenon known as the Seeliger Effect; also known as Opposition Surge, Opposition Effect or Opposition Spike. This is a sudden brightening of the planet (especially Saturn and the Moon) right before through right after opposition. The main culprit for this phenomenon seems to be coherent backscattering and shadow hiding. To use the Moon as an example of shadow hiding; just hours before full moon, the suns light is hitting the lunar surface squarely and almost all major shadows on the lunar surface from our vantage point are gone. When this occurs the Moon can brighten by about 40 percent and usually lasts until a few hours after full phase. When this happens during an opposition of Saturn for example, the rings actually become brighter than the planet itself for those few hours. Apparent Size (Angular Size): 2.4” arcseconds and 100% illuminated. For perspective Jupiter is around 44” arcseconds at opposition. 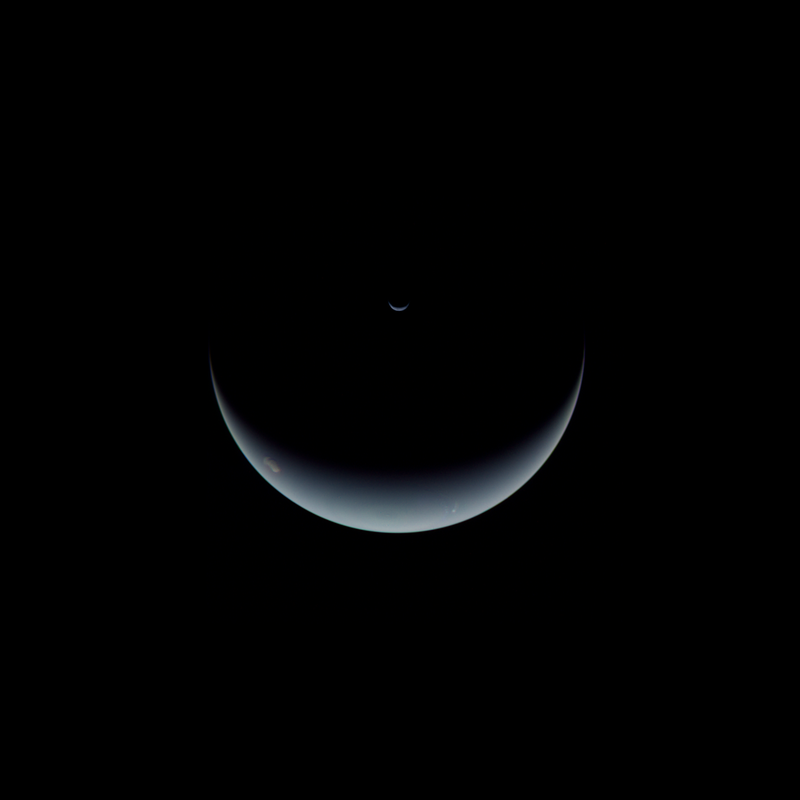 Image | This entry was posted in Astronomical Events, Astronomy (Learning), Images, News, Solar System and tagged Astronomy, Astrophotography, DanSpace77, JPL, NASA, Neptune, Neptune Opposition, Planet, Planet Neptune, Solar System, Solar System Abmbassador, Solar System Ambassadors. Bookmark the permalink.